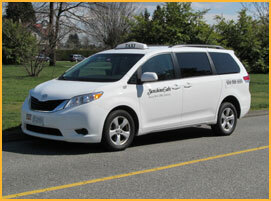 Sunshine cabs has it roots in the North Vancouver community since 1981. And ever since, we have grown right along with it. With a fleet of 68 vehicles, Sunshine Cabs is one of the most defined taxi fleets in the Lower Mainland. We are equally equipped to cater to 1 person or for a full transportation solution event with a few hundred of your guests. We keep a fleet of modern, comfortable and eco-friendly vehicles, including fuel-efficient Toyota Corolla, hybrid versions of Toyota Prius and Toyota Sienna wheelchair and 5 passenger Vans.